360 x 533 mm., 14 x 21 in. Branwhite lived in Bristol all his life where he was taught by William James Müller (1812-1845). 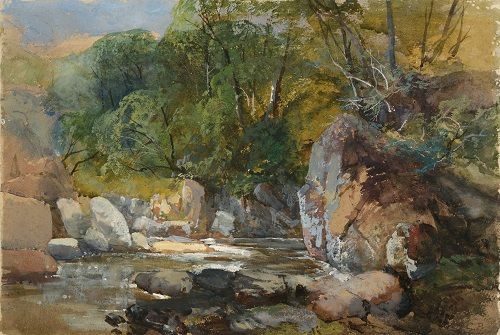 The present watercolour is reminiscent of Müller’s Devon river views and is typical in its lavish use of bodycolour. Branwhite was the son of a portrait painter and was a pupil of his father and William James Muller in Bristol. 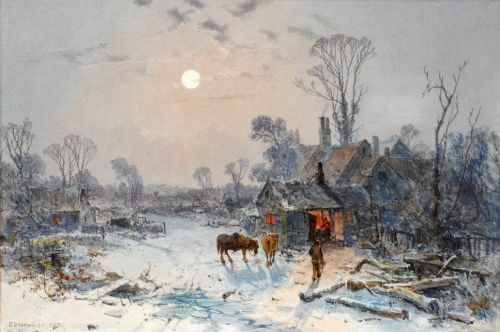 He exhibited at the Royal Watercolour Society from 1849 and remained in Bristol where he was a close friend of Francis Danby and Samuel Jackson.